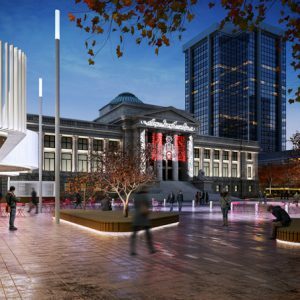 What to Do and Where to Visit in Vancouver? At Dunowen Properties, providing you with the finest corporate furnished rentals is our specialty and number one priority, in order to help you do what you’ve set out to do here in Vancouver. Even if you’re here on serious business, though, it would be a shame to visit Vancouver without seeing any of it! No matter what your free time looks like, we’ve put together an expansive list of potential things to do and places to see while you’re in our vibrant and diverse city. Above all else, it’s arguably B.C.’s Lower Mainland’s mild climate and amazing outdoors that sets it apart from other parts of Canada. Nature in the city is easy to access, and can really help you to unwind and relax. Canada place has lovely views of the water, and on a clear day can be a great place for an outdoor lunch that’s still right in the downtown core. Starting from the urban centre of Yaletown, you can stroll along the seawall until you reach Kitsilano beach, which has a pool on its west side, as well as tennis courts, basketball courts, and a playground for the kids. 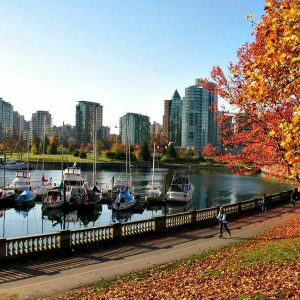 You can also visit Stanley Park, which is a world-famous, historically significant green oasis. Once you walk along the Stanley Park seawall, you’ll reach English Bay, which is Vancouver’s most popular beach. Other famous beaches include Jericho Beach near the UBC campus, and Sunset beach, which gives access to the False Creek Ferry pier. If you’re feeling adventurous, there is also Wreck beach, which is North America’s largest clothing-optional beach, also near UBC. Our other parks include Queen Elizabeth park, the Pacific Spirit Regional park, and Central park, all scattered around the Greater Vancouver area. For a manicured garden experience, you can visit the Dr. Sun Yat-Sen Classical Chinese garden (which often also hosts special events and festivals), and you can also check out the VanDusen Botanical Gardens, which features a great restaurant that has an excellent wine selection to make a memorable end to any day. If you’re looking to move a little further away from the city, Greater Vancouver is also known for its diverse range of hiking trails. From beginner levels all the way to advanced full-day hikes, there’s something for everyone. Cypress and Grouse mountains are also beautiful all year round, with summer hiking and winter sports. The Capilano suspension bridge is also a must-see, with heart-stopping heights and gorgeous sky-scraping views. While nature is always great to be in, sometimes (especially when the Vancouver rain comes along), it’s also good to spend some time indoors. When you’re not taking a well-deserved rest in your Dunowen corporate furnished rental property, consider going to one of Vancouver’s indoor attractions. Vancouver is home to a number of fascinating and interesting museums and galleries, such as the Museum of Anthropology at UBC (which often showcases indigenous programming), the Vancouver Art Gallery downtown (which sometimes features more avant-garde exhibits), and the Vancouver maritime museum in Vanier Park (which celebrates maritime and other historically Canadian exhibits). In Stanley Park you’ll find the Aquarium, filled with awe-inspiring creatures and the chance to get up close and personal with marine life. Towards downtown, we have the Telus World of Science (otherwise known as Science World), which has a widely varying range of exhibits, daily science shows, and the incredible I-MAX theatre. You can also usually find interesting things happening in the Vancouver Convention Centre (some of which are exclusive to certain groups, and others open to the public). Vancouver’s famous arts scene is home to gifted actors, musicians, and other talented artists. 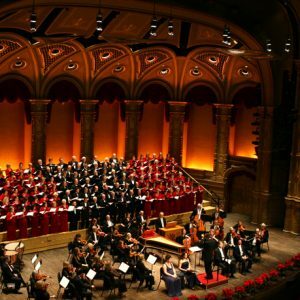 You can go see a play at the Queen Elizabeth theatre, or listen to a world-class live symphony at the Orpheum. Listen to some interesting music or see some live cinema at the Vogue theatre. You can also catch some old and daring movies at the Rio, where they essentially fill their programming with whichever movies they want to at any given time. Finally, the PNE is the definitive amusement park, filled with roller coasters, live shows, fun games, and unique seasonal attractions based on themes such as Halloween, Christmas, and Summer time. Sometimes, after a hard day’s work, you just want to sit back, relax, and enjoy something good to eat. 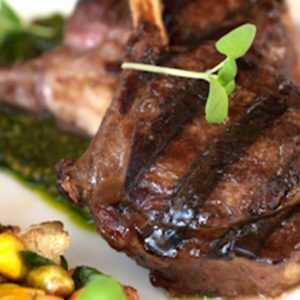 Don’t forget to try some of Vancouver’s world-class restaurants, including the iconic Top of Vancouver revolving restaurant in the heart of downtown. Visit the diverse shopping here, from the high-end stores in Pacific Centre, to the local artisan creations to be found in Granville Island. Vancouver is an amazing city to visit, and the best part is that there is always something new to do and see. Most importantly, when you’re combining business with pleasure, you don’t want to have to worry about your accommodations. Let Dunowen Properties give you the best that Vancouver has to offer, so that you can get good rest and get energized for making the most out of every moment of your time here in Vancouver. Contact us by email at [email protected], or call us toll free at +1-855-736-1900, or locally at 604-739-1900.